The Washington Post has unearthed more slides describing the US government's PRISM surveillance program—and they help confirm the extent of the operation. 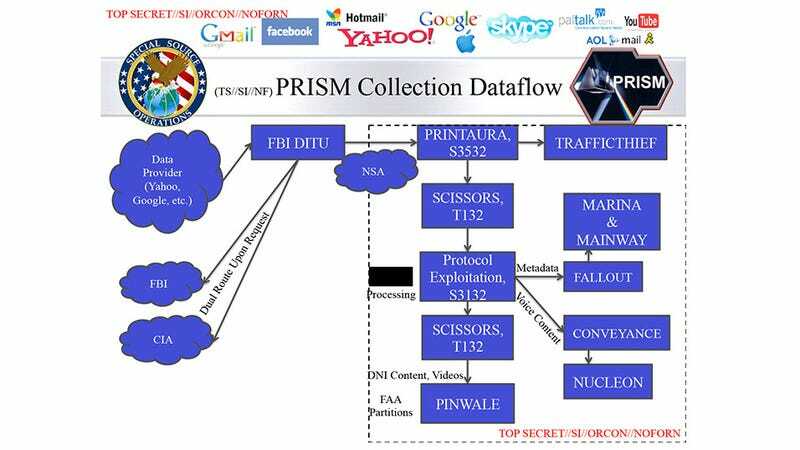 The new slides seem to support what whistleblower Edward Snowden has already claimed: that PRISM lets the NSA perform real-time surveillance of email and instant messaging. The new slides don't make clear which internet service providers are involved with that practice, the report does point out "depending on the provider, the NSA may receive live notifications when a target logs on or sends an email, text, or voice chat as it happens." Elsewhere, another screenshot—dated April 5th—shows that there are 117,675 PRISM "records", which the Post claims are "active surveillance targets". It's not clear what counts as as a target—unique individuals or perhaps something else—and it's not clear what data is contained within each record, either.